It’s difficult to put on a big event for the first time. Who will come? What sponsors will step forward, when the event has no track record? Fortunately, the promoters and visionaries and planners knew they stuff, and the inaugural Tumwater Oktoberfest was very well-attended. 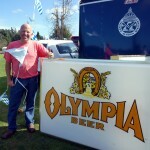 Three cheers for George Sharp, Executive Director of the Olympia-Lacey-Tumwater Visitor and Convention Bureau, the planning committee, and the many volunteers who made the first annual Oktoberfest a huge success. 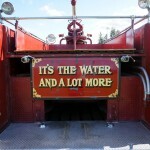 My friends at the City of Tumwater – Chuck, Dave, Todd, etc. – took their expertise from hosting thousands of people for the Tumwater 4th of July festival and once again transformed the Tumwater Valley driving range area into a great home for Oktoberfest. The event was entirely 21 and over and featured the best seasonal marzen or marzen-oktoberfest brews from local and regional brewmasters. I performed strolling magic and ran into old friends, classmates, and clients, some of whom I hadn’t seen in nearly twenty years. There was much more to the evening than drinking beer. They had a giant game of Beer Pong set up on the grass, volleyball/field games, a stein holding contest (more fun to watch than you’d imagine), a costume contest, great live music, and more. Weather was perfect – sunny and warm, no wind – and it was great seeing so many people attend. 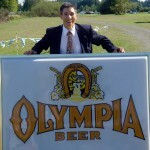 Two thumbs way up for everyone who spearheaded the first-annual Tumwater Oktoberfest! 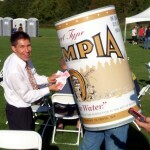 This entry was posted in Uncategorized and tagged City of Tumwater, Oktoberfest, Tumwater, Tumwater magician, Tumwater Oktoberfest. Bookmark the permalink.